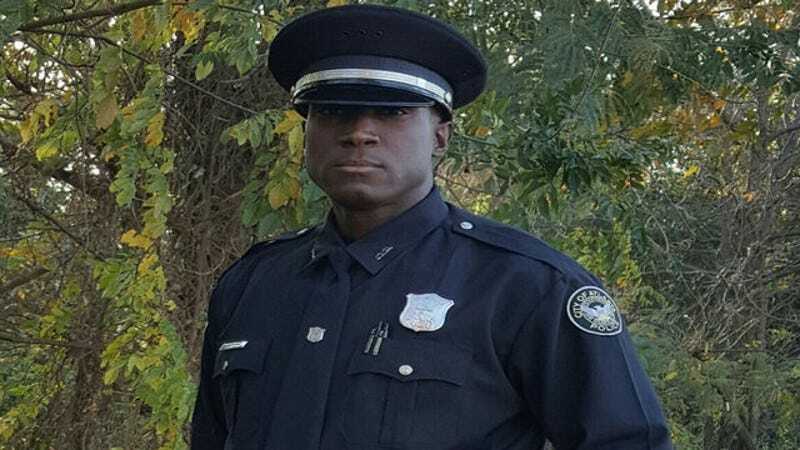 An Atlanta police officer was not looking for any recognition or praise when he decided to help out the family of a 12-year-old girl who was caught shoplifting earlier this year. But he’s getting it anyway. As the story goes, Officer Che Milton was in his first week on the job when he got a call from the neighborhood dollar store about someone trying to shoplift a pair of shoes, CNN reports. What he found was a 12-year-old girl attempting to take a pair of $2 shoes. The child explained, while in tears, that even the $2 shoes cost too much for her family to afford at the moment and that she just wanted to do something nice for her 5-year-old sister. Milton asked the child to show him her home. The 12-year-old took him to a small house in a rough part of town. There was very little furniture and not enough beds in the home. The child’s mother explained to Milton that the family was made up of seven: Mom, Dad and five children. Her husband worked a lot, but she could not because the cost for day care for the small children would be too much to handle. Milton contacted the Division of Family and Children Services about the situation to find out if there was a social worker who could assist the family. He then stepped out and bought four pizzas and two large drinks for the family, which he paid for with his own money and delivered on his own. “The family expressed sincere and genuine gratitude for Officer Milton’s unsolicited act of kindness. Officer Milton did not help this family in hopes of receiving any recognition. In fact, another officer came forward to commend Officer Milton. The way that Officer Milton handled this incident showed that not only is he here to enforce the law but also to go the extra mile and be a bigger part of the community he is policing,” the Police Department wrote on its Facebook page..
“I have made mistakes in my life also,” Milton told CNN. The original incident happened in February. Since then, Milton has gone back to visit the family a few times, dropping off diapers or clothes and checking in. As it turns out, the rest of the department wanted to help out as well and decided to share the family’s story. The public response was also positive, with many inquiring about how they could help the family. The department has posted more information about the family, including items they need and the size of clothing that the children wear. The items can be dropped off at the Atlanta Police Zone 1 Precinct.